The purpose of this project is to develop a guidebook related to cycling and pedestrian infrastructure for small towns and rural areas. 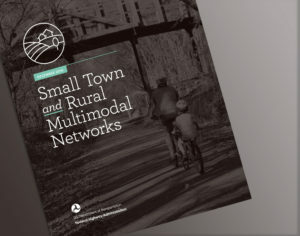 The Small Urban and Rural Livability Center at WTI collaborated with Alta Planning + Design (Alta) and the National Association of Counties (NACO) to develop and distribute a “Guidebook” related to cycling and pedestrian infrastructure for small towns and rural areas. The guide was developed by researching key implementation challenges, conducting stakeholder engagement, researching design practices, and developing case studies.